I must be one of the few gamers out there not to have played Grand Theft Auto, or any of the other modern-day, open-world, crime-themed games that it spawned. None had premises that appealed to me – until now. 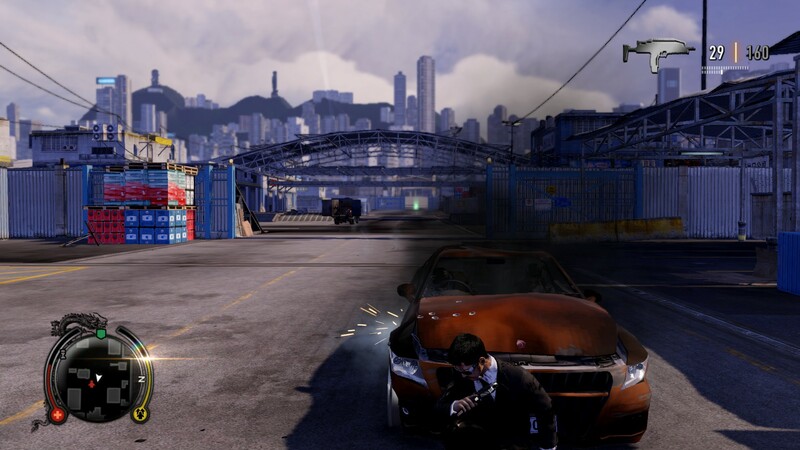 Enter Sleeping Dogs, United Front Games’ open-world extravaganza, which casts the player as undercover cop Wei Shen, tasked to infiltrate the most powerful crime syndicate in Hong Kong. This premise has been mined many times before for its dramatic potential, with the most obvious parallel being 2002 Hong Kong thriller Infernal Affairs. However, the key to Sleeping Dogs is that it’s not a homage to thrillers – it’s a homage to action flicks. 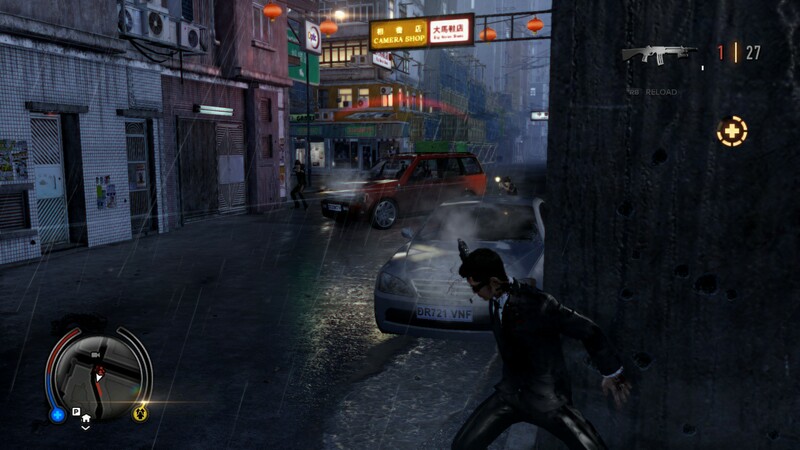 Specifically, Sleeping Dogs’ gameplay revolves around two activities: chasing rival mobsters, and pulverising them once you catch up. You chase them on foot (think the opening parkour sequence of Casino Royale) and in cars; you fight with fists, feet, and occasionally, firearms. 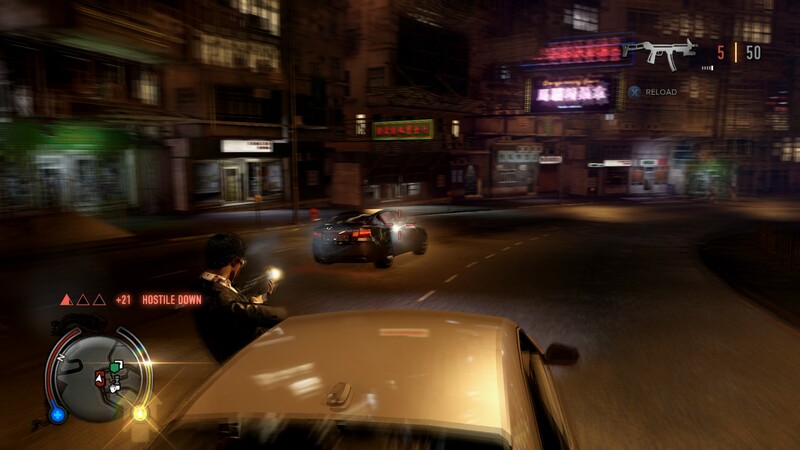 The typical mission will involve pretty much every variation on these themes: Wei might drive to a target’s lair, disembark to beat up a first wave of guards, grab a gun to deal with a second wave of guards, jump into a car to pursue his escaping quarry, and finally jump from car to car in mid-chase to reach his foe. In between missions, there are other diversions available – special mention goes to a hilarious karaoke minigame (watch Wei during guitar solos, but make sure you don’t have anything in your mouth) – but speed and violence generally dominate the side quests, too. This is not a flaw. 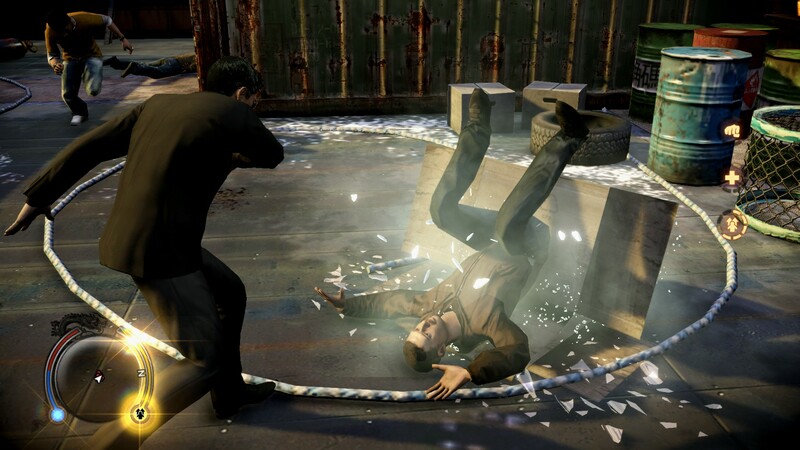 What Sleeping Dogs does best is recreate the excitement – and yes, over-the-top destruction – of good action movies. There are deeper dedicated brawlers out there – tapping or holding one button will run Wei through predefined combo moves; tapping a second button will counter enemy attacks; a third will allow Wei to grapple enemies and, often, finish them off with a spectacular use of the environment, such as throwing them into the water, slamming them into fuse boxes, or even impaling them on swordfish. There are deeper shooters out there: Wei’s options largely comprise hiding behind cover, popping up to shoot, or vaulting over an obstacle in order to enter bullet time. And while I’m no expert on racing games, I would be very surprised if there weren’t games with deeper driving models. But while each component is straightforward, the game (and the individual missions) string them together into an overall experience greater than the sum of its parts. … or taking a brief break from firing, since even Wei Shen needs cover to survive a shootout. The same holds true for the game’s story. Some sequences are laugh-out-loud funny, though they tend to be merely the comic relief between far darker events. On a deeper level, while the game is a long way from Shakespeare, it understands the importance of theme and character arc. 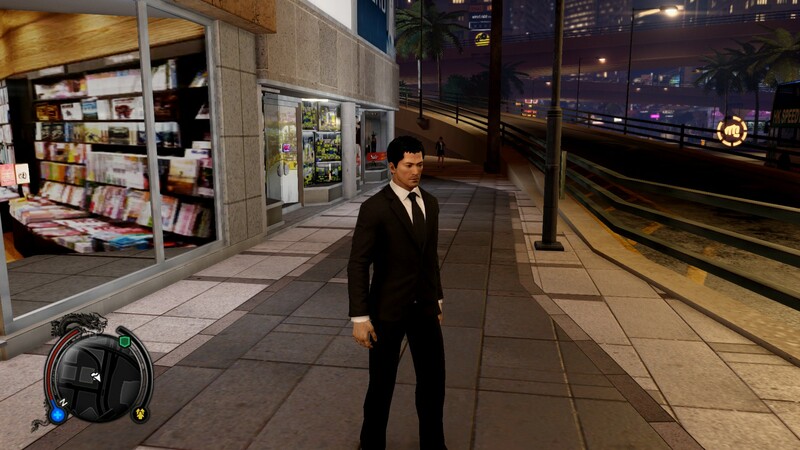 Without them, I doubt I would have seen Sleeping Dogs through to the end – after 28 hours, I was getting a little bored of beating up gangsters and detonating their cars. 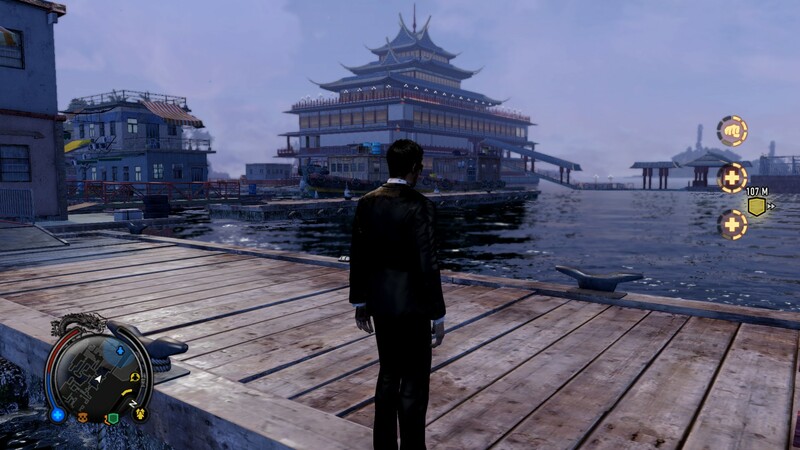 With them, Wei’s adventures became a coherent, satisfying narrative filled with characters I cared about – characters who acquired depth through their different responses to one of the game’s central ideas, the lure of crime. I wanted to see how their stories would end, and that desire propelled me through an increasingly explosive (in every sense of the word) plot all the way to the credits. Far more ambitious games have done far worse. 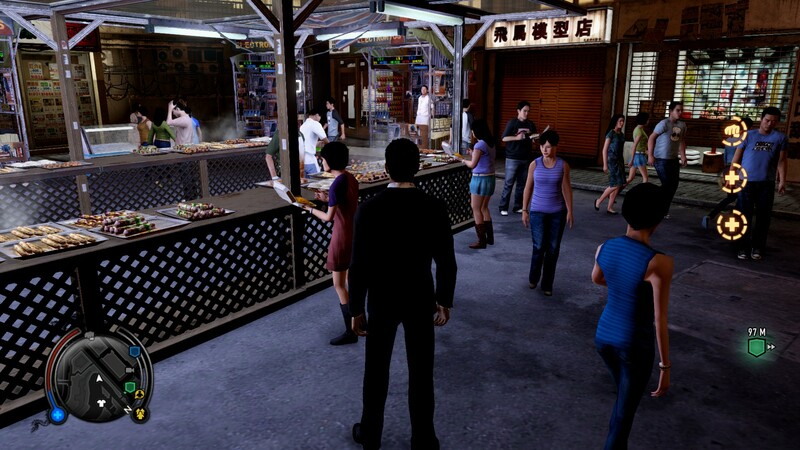 When Wei isn’t fighting for his life, he can take in the sights of Sleeping Dogs’ Hong Kong. Here, he visits the night market. Lastly, I should give a shout-out to the game’s soundtrack, which did so much to convey a sense of place. There are quite a few songs available, but my favourites by far were the (often instrumental) Chinese tracks. Motoring around the game’s version of Hong Kong, with the rain pouring and the car radio pumping this into my ears, wasn’t just atmospheric and relaxing. In its own small way, it was an experience I could not have gotten from another game. At the end of the day, I couldn’t have asked for a better introduction than this to the modern-day open-world genre. Sometimes hilarious, sometimes horrifying, often exciting, and always entertaining, Sleeping Dogs is a very good game, well worth my money. I look forward to seeing what UFG does next. Length of time spent with the game: 28 hours. What I played: The entire story, and many of the game’s side quests. What I didn’t play: The remaining side quests. Taking in the waterfront view. Wei Shen, dressed to kill.